Other names: Monee, rooi-ivoor, umNini, xiniyani. 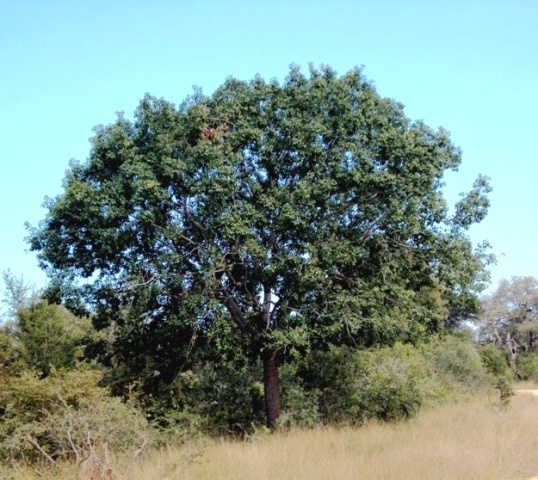 Red ivory tree normally grows in dense groups along with other trees. It can withstand drought to a considerable extent but is sensitive to cold. 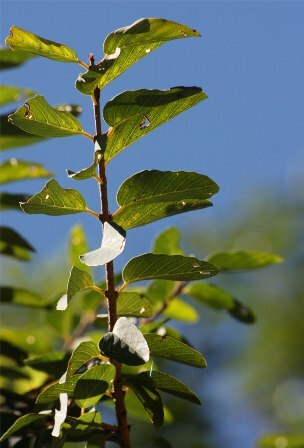 An evergreen to semi-decicuous tree 6–18 m. high, with rough grey bark; branches spreading; young branchlets puberulous. Leaves usually opposite or subopposite, glabrous; lamina 12–40(60) × 6–25 mm., elliptic to ovate, entire; midrib prominent beneath; lateral nerves 5–6, extending to the leaf-margin and prominent beneath; petiole 1–3 mm. long, channelled above. Flowers 1–4(6) in leaf-axils; pedicels slender, 4–14 mm. long. Flower bud globose, 2 mm. in diam. Sepals 2 mm. long, deltate, glabrous. Petals 2 mm. long, obovate, cucullate, often emarginate. Stamens1·5–2 m. long. Disk cupular, not enveloping the ovary, margin notched above insertion of filaments. Ovary, free from disk; style 1·5–3 mm long. Fruit a drupe, 6–9 × 3 mm., ellipsoid, yellow to brownish red, flesh yellow, sweet, surrounding the 2-seeded kernel. Red ivory fruits are delicious. These are eaten fresh. 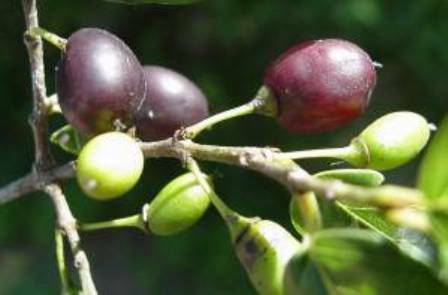 The fruit is sold in rural markets and is an important source of income for local people. The fruits are delicious and can be eaten fresh or stored in containers. The sticky, sweet, dried fruits can last for several months without any processing and can be eaten later. The wood of this tree is very strong, durable, and takes paint and varnish well. It is used for making furniture and other useful articles. The bark yields a dye which is used dyeing fabrics. The plant has medicinal uses too. 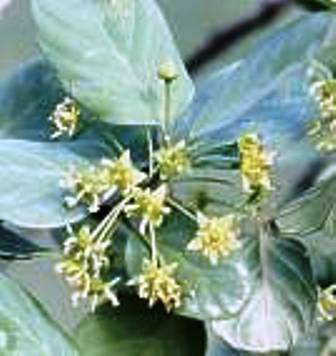 In fact, red ivory is one of important useful plants in all the countries where it grows. Red ivory grows easily from seeds. 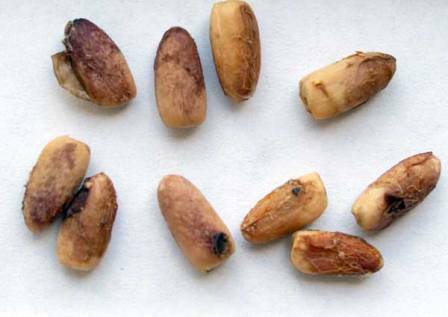 Seeds should be cleaned by removing the pulp (alternatively enjoy the fruit as a treat and keep the seeds). These should be planted in seedling trays filled with river sand or a mixture of compost and river sand (1:1). After planting them, they should be covered with a thin layer of sand and kept moist. Germination takes 5–9 days. Seedlings should only be transplanted in nursery bags after reaching the 2-leaf stage. Red ivory is not known outside Africa in pite of all its qualities. It deserves to be promoted in other parts of the world too.